Dr. Attalla, DDS focuses on providing superior general dentistry and oral surgery services. For over 20 years, he has been committed to his patients' needs. A Loyola University Alumni, he has served Chicagoans for years. From your first cavity or wisdom teeth removal, to implant dentistry and dentures, he can provide the services you need when you need them. Rely on the staff to greet you in a warm and comfortable atmosphere and make you feel right at home. They understand that most patients are uneasy about their dental visits, so they build a foundation of trust and treat patients like the individuals they are. Client relationships are vital to success and they pride themselves in bringing patients the prompt, compassionate and knowledgeable service they deserve. With a specialty in dentures and the convenience of our on-site lab, patients in need of a custom denture, or a repair or reline of their existing set can count on M. Attalla, DDS to complete it within 48 hours in most cases! Dr. Attalla is a Doctor of Dental Surgery (DDS), gaining his degree locally at Loyola University of Chicago. He has been in practice since 1990 which gives him over 20 years of experience in dentistry. As a professional, Dr. Attalla is committed to excellence for himself, his office and his patients. He is a big believer in continued education for himself and his staff in the fields of cosmetic and implant dentistry as well as oral surgery. This keeps his practice up to date and offers his patients the most up to date procedures. Dr. Attalla is a reliable dentist who prides himself on listening carefully to the patients and customizing their treatments in accordance with their own individual needs. Stephanie has been with the office for 18 years, and has always been a committed and dedicated member of our team. Over the years she has developed a passion for pediatric dentistry and is able to educate patients of all ages, and make their experience as comfortable as possible. Ronny served as a dental assistant in the army while serving our country for over 22 years. This has given Ronny the opportunity to work in many different places and perform many different dental procedures throughout the world. He also contributes a very unique combination of experiences that helps to give us all a very educated and exceptional perspective on things. 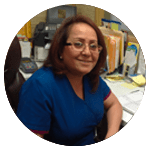 Ronny graduated with honors from the Illinois School of Health Careers in 2009, and is a very committed and friendly member of the team who enjoys reassuring the patient while making their visit a pleasant one. Mrs. Walker is our Master Lab Technician with over 40 years of dental experience. Her experiences include all different phases and procedures of dentistry including a specialty with different kinds of dental prosthetics. Because of this, she is able to perform a wide range of prosthetic services while utilizing our IN-HOUSE DENTAL LAB, which gives the patient a quicker than normal turnaround time. Tiff is our Front Desk Administrator. She has been with the office for over 7 years and is a very friendly and sincere person to work with. One of Tiff's many responsibilities for the office includes managing financing and insurance claim submissions to make the experience of the client as smooth and easy as possible.